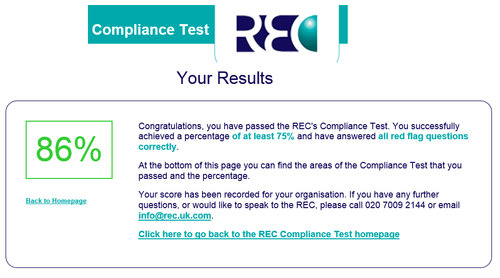 Prospectus are pleased to announce that we again passed the REC Compliance Test at first attempt with a score of 86%. REC, (the Recruitment & Employment Confederation) is the professional body for the recruitment industry. They are committed to raising standards and highlighting excellence throughout the recruitment industry and all REC Members must abide by the REC Code of Professional Practice. As members of the REC, Prospectus are required to ensure we adhere to a strict code of conduct and practices along with high levels of industry knowledge. This involves ensuring we stay up with current legislation and best practices and to take the Compliance Test every 2 years. 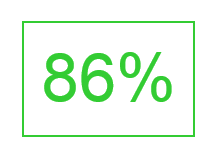 86% is a pleasing result with Prospectus gaining 100% in most sections.